Myra is an ancient town in Lycia, where the small town of Kale (Demre) is situated today in present day Antalya Province of Turkey. It was located on the river Myros (Demre Çay), in the fertile alluvial plain between Alaca Dağ, the Massikytos range and the Aegean Sea. Although some scholars equate Myra with the town Mira in Arzawa, there is no proof for the connection. 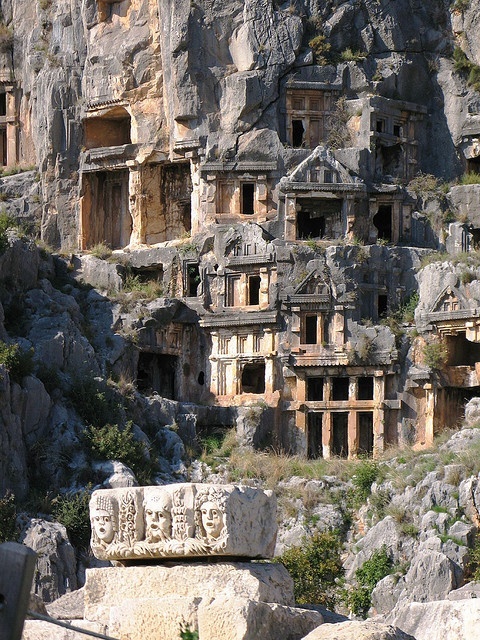 There is no substantiated written reference for Myra before it was listed as a member of the Lycian alliance (168 BC – AD 43); according to Strabo (14:665) it was one of the largest towns of the alliance.